What if your savings account could enable clean energy investments from insulation to solar to electric vehicles? Starting this summer it can. Blake Jones is the Volunteer Board Chair of the newly launched Clean Energy Credit Union. The brainchild of Amicus Solar, an installer cooperative, the online-only Clean Energy Credit Union is dedicated to financing the clean energy future. It provides loans for home insulation, solar, electric vehicles, and electric bikes and more. Its nonprofit mission is to illustrate that money-saving clean energy investments should get low-cost financing. 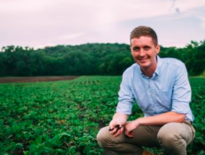 John Farrell, director of the Energy Democracy Initiative at the Institute for Local Self-Reliance, spoke with Blake in July 2018 about the launch of the Clean Energy Credit Union. The Clean Energy Credit Union set out to solve two financing problems: access to low-cost capital and demonstrating the value of clean energy investments. While there have been lenders for clean energy projects large and small, most have been backed by venture capital. The high cost of venture capital meant high interest rates on loans. Traditional banks and credit unions, with federally insured deposits, offer lower loan rates, but their inexperience with clean energy products means they typically treat a loan for solar or home insulation just like a loan for a car or boat. In other words, they fail to account for the money saving value of a clean energy investment, whether its electric bill reductions from solar or gas savings from an electric vehicle. The credit union will address both market failures. To lower costs, it offers a triple play: online-only to lower overhead costs, federally-backed deposits, and the nonprofit credit union structure. The Clean Energy Credit Union will also build a portfolio of loans to show that financial savings from clean energy enhances the likelihood of repayment. 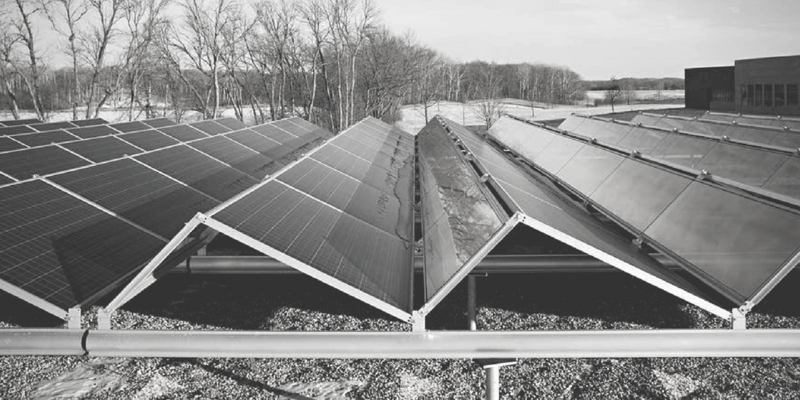 The Clean Energy Credit Union was the brainchild of another organization with its members’ best interest at heart: the Amicus Solar cooperative. Amicus is a network of solar installers who buy solar installation materials in bulk for lower prices and who work together to meet demands for larger scale solar installations. While the credit union won’t recommend particular installers, they will recommend networks of cooperative or like-minded solar electric and solar thermal installers or contractors, including Amicus. In that way, they support the mission of supporting other member-focused organizations. Listen to the Local Energy Rules podcast interview with Stephen Irvin, president of Amicus Solar, in June 2017. Host John Farrell and Stephen discuss the benefits of the cooperative structure and the origins of the Clean Energy Credit Union. Many of the early supporters are excited to join an institution with a focus on expanding clean energy. But Blake recognized that in order for the credit union to get past the “startup phase,” they will have to offer the “full suite of retail banking services” including checking accounts and credit cards, as well as a smartphone app. They also want to offer services to commercial customers, especially to lend to clean energy companies. The biggest challenges are to pace themselves and to spread the word. “Our mantra we keep telling ourselves: we have to learn to crawl before we can walk, we have to learn to walk before we can run, we have to learn to run before we can fly.” They don’t have much of an advertising budget, either, so they hope for great word-of-mouth advertising. The credit union already offers loans for solar, energy efficiency, electric vehicles, and electric bikes, but it’s planning to expand offerings in the near future. Targets include community solar subscriptions and mortgages for net zero or very efficient homes. Although the Clean Energy Credit Union wants to grow, Blake says they would “consider it a failure” if they didn’t inspire others to follow. Their goal is to spark an expansion of low-cost lending for clean energy at many financial institutions. The Clean Energy Credit Union also hopes to be more effective at bringing loans to low-income folks and those with poor credit histories by taking into account the cash flow from clean energy investments. It won’t just inform their own loan portfolio, but the loan performance data will be shared with other financial institutions to show that default rates for clean energy are different than for traditional consumer loans (e.g. for cars). For another policy tool supporting wide access to financing clean energy, see ILSR’s Inclusive Financing research hot spot. Find other Local Energy Rules podcast episodes here. This is the 59th edition of Local Energy Rules, an ILSR podcast with Director of Energy Democracy John Farrell that shares powerful stories of successful local renewable energy and exposes the policy and practical barriers to its expansion. Other than his immediate family, the audience is primarily researchers, grassroots organizers, and grasstops policy wonks who want vivid examples of how local renewable energy can power local economies. For timely updates, follow John Farrell or Marie Donahue on Twitter, our energy work on Facebook, or sign up to get the Energy Democracy weekly update.